Waterloo – Wilfrid Laurier University researchers are part of a health innovation team piloting a cutting-edge brain health assessment and risk management program that uses predictive analytics and artificial intelligence (AI) to detect Alzheimer’s at the earliest stages. The goal of the program, which is led by Saint Elizabeth Healthcare, is to improve access to services, independence to age in place and quality of life for patients and caregivers in Ontario. Josephine McMurray, assistant professor in the Business Technology Management program, and Azim Essaji, associate professor of Economics, both from Laurier’s Lazaridis School of Business and Economics, will evaluate the economic impact of the program. “Early detection and management of declining cognition and Alzheimer’s is important as it can slow or reverse the disease process and alleviate the burden on individuals, their families and the health system,” said McMurray. 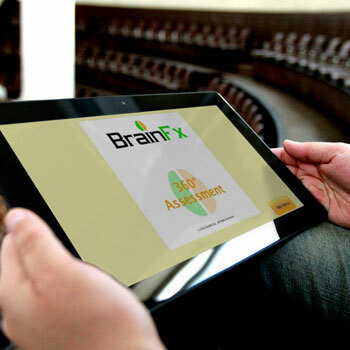 The BrainFX screening tool will be used with 10,000 patients during the study to identify cognitive decline earlier than conventional tools and allow for earlier personalized treatment planning. Anonymized data from these patients will be aggregated with data from the Canadian Institute for Health Information and analyzed for early risk factors using machine learning and AI. This early identification algorithm will be used by healthcare providers to scan their electronic records and flag at-risk patients. McMurray, Essaji and the health innovation team will assess the feasibility and economic impact of using early detection tools and predictive algorithms that may improve the lives of people living with cognitive disease by helping them to live more independently longer. “The indirect effects of reducing people’s lifetime costs of healthcare are important to consider as Canada’s population greys,” said McMurray. In December, the Ontario Ministry of Health and Long-Term Care announced $5.47 million in funding for 12 projects through the Health Technologies Fund. This project, entitled Brain Health Screening and Risk Management Program, received $493,000 from the ministry and includes a partnership between Laurier and Saint Elizabeth Health Care, BrainFX, ThoughtWire Corp., Southlake Regional Health Centre, and four Family Health Teams (FHT) in the Waterloo Wellington Local Health Integration Network (Upper Grand FHT, Two Rivers FHT, Mount Forest FHT, and the Centre for Family Medicine). Read more about McMurray's research.